Jonathan is consistently ranked in the top 1 percent of Dallas agents. Jonathan is a leader in luxury real estate in Park Cities and Preston Hollow, and has built an expert team of agents and support staff. Jonathan also offers a thorough understanding of how to sell new product, and works closely with a large network of respected developers and builders. Jonathan Rosen, Principal Agent of the Rosen Group, is fueled by a passion for helping people. 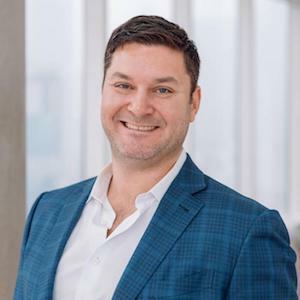 With over 15 years of experience, Jonathan has accumulated over $500 million in transactions and is consistently ranked in the top 1 percent of Dallas agents. A leader in luxury real estate in Park Cities and Preston Hollow, Jonathan has built an expert team of agents and support staff to help deliver on his client promise with an unbeatable level of commitment, communication and customer service. Jonathan offers a thorough understanding of how to sell new product, and works closely with a large network of respected developers and builders. His insight into architectural design makes him a sought-after, hands-on guide and business advisor. Jonathan’s energetic and personable approach make him one of the most knowledgeable real estate professionals in the area for buyers, sellers and investors. "I want each of my clients to feel like they're my only client," said Jonathan. "The Rosen Group wants to be the best in the business, and we do that by giving our clients the best possible experience in every home search or sale." Jonathan joined Compass in January 2018 as one of the founding agents in the Dallas office. Jonathan is an alum of The University of Texas at Austin and currently resides in Park Cities. In his free time, Jonathan enjoys playing golf and spending time with his two children, Gray and Millie.